Smyril Line Cargo transports thousands of tonnes of frozen and fresh seafood between the Faroe Islands and the European Continent, using two newly acquired freight vessels that take reefer trailers, containers and bulk freight. 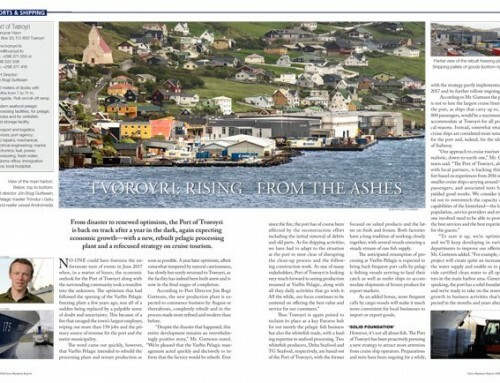 The rise of the Russian market for fish from the Faroe Islands—unaffected by the countermeasures that have hit other European suppliers whose governments had engaged in trade sanctions against the giant country—has proved to be a key factor in the recent growth of the Faroese seafood trade. In this connection, Smyril Line Cargo, the freight forwarding division of ferry operator Smyril Line, has consolidated its position with the acquisition of Eystnes and Hvítanes, a pair of freighters that the company has deployed on its route between the Faroes and the European Continent. The two sister vessels have capacity for 23 reefer trailers, 30 FEU containers and 1000 EPAL pallets. Faroese exports of pelagic fish to Russia increased by thousands of tonnes last year (2015)—and a considerable share of this volume was shipped on Smyril Line Cargo’s freighters. Volumes sent to other markets were high as well, notably to destinations in Poland, Lithuania, Latvia, and the Netherlands. The overall picture is expected to remain largely unchanged this year as producers gear up for the summer mackerel and herring seasons. 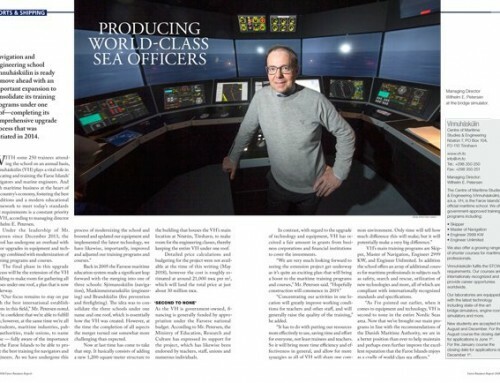 On request, with its new freighters, Smyril Line Cargo can reach all of these markets on a weekly basis, according to Halgir Dahl Olesen, who heads the company opposite his co-managing director and brother Rene Dahl Olesen. They are running scheduled weekly sailings between Tórshavn and Runavík in the Faroes and St. Petersburg in Russia, using the Danish port of Hirtshals as a transit hub. Alternative destinations from Hirtshals are Velsen in the Netherlands, Gdansk in Poland and Klaipeda in Lithuania. Smyril Line, meanwhile, has RoPax ferry Norröna on her regular route between Seyðisfjörður in eastern Iceland, Tórshavn in the Faroes and Hirtshals, with additional options for shipping cargo trailers. Smyril Line places emphasis on a strong Faroese identity with Faroese crews and under the Faroese flag. The Norröna, still a source a national pride, was delivered to its Faroese owners in 2003, replacing an older ferry that had many years of good service behind it but which was no longer able to provide the capacity the triangular North Atlantic route demands. 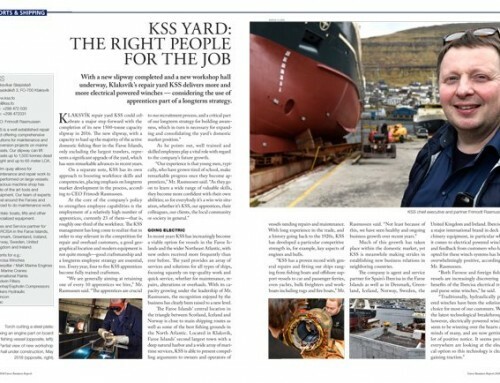 Norröna quickly established itself as the primary link between the islands and the European mainland, and the company’s cargo arm has been dedicated to meeting the specialized needs of Faroese exporters in getting their produce to customers in Europe and beyond. Besides frozen pelagic fish, there is also a steady flow of fresh salmon and whitefish, and the perishable nature of these is such that careful handling and prompt forwarding are crucial. The main export markets for fresh Faroese salmon are Russia, the United States, China, the United Kingdom, and Denmark. 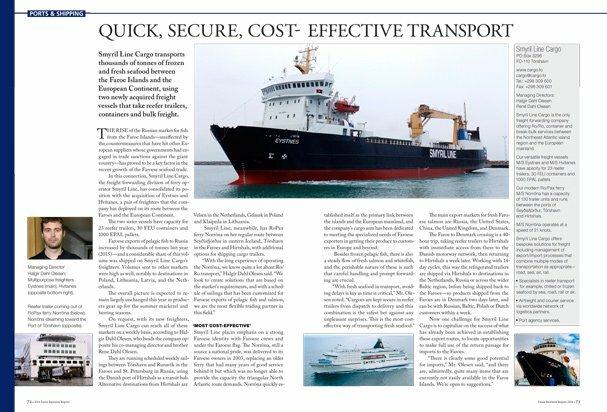 The Faroe to Denmark crossing is a 40-hour trip, taking reefer trailers to Hirtshals with immediate access from there to the Danish motorway network, then returning to Hirtshals a week later. 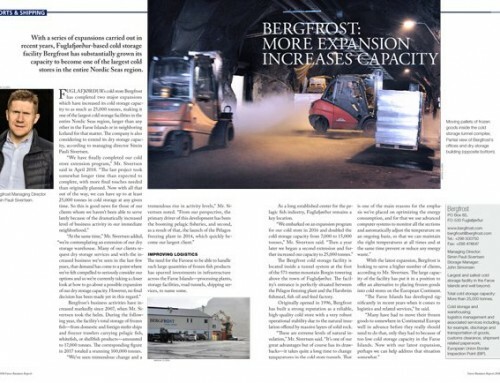 Working with 14-day cycles, this way the refrigerated trailers are shipped via Hirtshals to destinations in the Netherlands, Russia or across the wider Baltic region, before being shipped back to the Faroes—so products shipped from the Faroes are in Denmark two days later, and can be with Russian, Baltic, Polish or Dutch customers within a week. 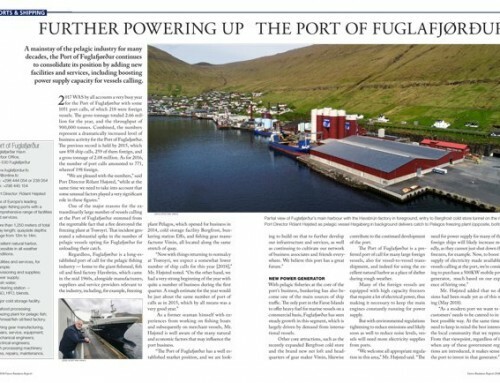 Now one challenge for Smyril Line Cargo is to capitalize on the success of what has already been achieved in establishing these export routes, to locate opportunities to make full use of the return passage for imports to the Faroes.